TOWNS and villages around Donegal are to take part in 'Street Feast' with 24 areas and counting holding the special event on Sunday, June 12. Street parties are already planned for areas including Gleneely, Killybegs, Castlefinn, Gortahork, Milford, Manorcunningham and Letterkenny - and there is still time to organise one, the council says. Street Feast is an Irish "not-for-profit, all-for-fun, do-it-yourself" initiative and this year is part of the State’s 1916 Centenary Celebrations. 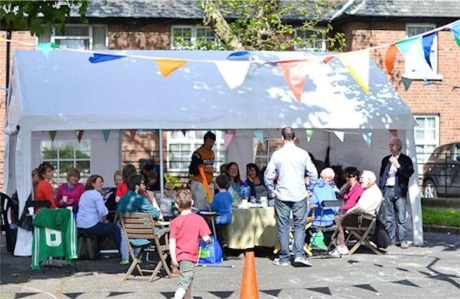 It invites individuals, groups of neighbours, or clubs to host a lunch on their street, in a local park or in their front gardens – inviting other neighbours to come along and join in. It is designed to bring communities together and help tackle the the isolation felt by some people. Everyone is encouraged to bring something along at midday. If you're interested in holding a street party, contact Street Feast to receive a free Street Feast party pack (while stocks last). Visit www.streetfeast.ie or check its Facebook page.